Women's Handmade Silver Heart Necklace : LOVE2HAVE in the UK! 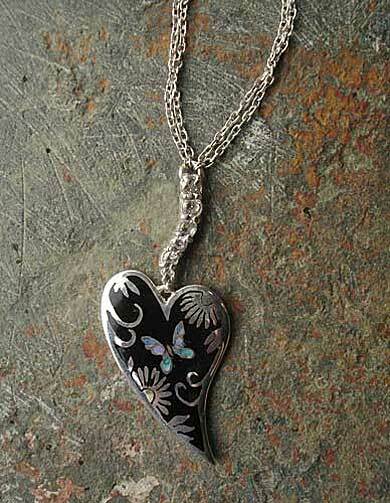 A women's handmade silver heart necklace. 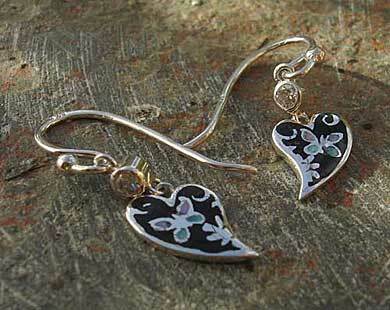 This particular piece of jewellery is a beautiful silver heart with black enamel detail and a row of cubic zirconia stones between the heart and the chain. 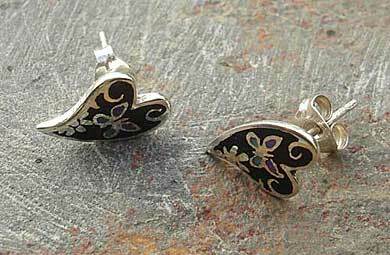 The heart measures approximately 30mm in length x about 18mm wide. 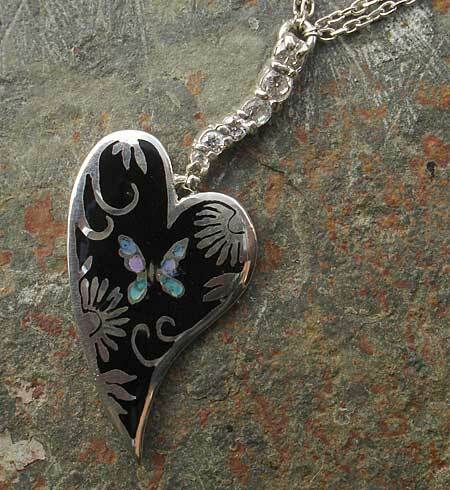 The pendant boasts a beautifully painted enamelled heart of flowers and a butterfly with a handmade silver necklace. The chain is a double silver chain of an adjustable length of 16 to 18 inches. This necklace is a handcrafted piece of UK made jewellery and just one of a range of heart necklaces on offer at Love2Have. We think this necklace would make unique wedding jewellery as it is available with matching earrings too. Size(s) Available: 16 - 18 inches as standard.